The only problem is when you start deleting files without a backup. Don't do that. No, you won’t lose all your DRM-free iTunes music. At least, not without deleting your actual files and not having a backup. Apple isn’t adding DRM to your iTunes files, either. The reality here is that Apple will not automatically remove any iTunes music files you own on your computer and replace it with a digital rights managed (DRM) file. 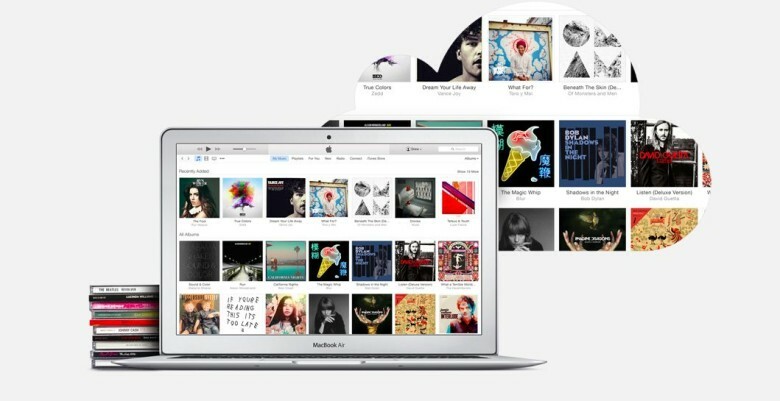 However, the convergence of iTunes Match, Apple Music, and the new iCloud Music Library can be confusing, and there is a small potential to re-download files you’ve deleted from your Mac as DRM-protected Apple Music files. Luckily, the folks at iMore have a pretty fantastic, clear explanation of what’s going down here, and a pretty neat way to check and see which of your music files have been matched, uploaded, or purchased. Even John Gruber linked to it, so you know it’s good. When you download a song to your Mac from Apple Music, it’s got DRM on it. This prevents you from, say, downloading thousands of songs and then cancelling your Apple Music subscription. It’s annoying, but makes business sense, and will help pay the artists you’re listening to. Anyway, if you turn on iCloud Music Library, Apple will scan your music collection and match it to tracks in Apple Music, which lets you then listen to that track on any other Apple Music device at a high-quality bit rate. If you download that Apple Music track to your other devices (or the same Mac you matched from only after you deleted those actual files), it will be an Apple Music file, meaning it will have DRM. Nothing is added to your file, it’s a whole different file, and it’s your fault for deleting that track in the first place. “iCloud Music Library is not a backup service,” Serenity Caldwell at iMore rightly reminds us. Now, if you don’t want this to happen, because you dump original DRM-free iTunes files from your Mac all the time and have no backup (really? why? ), then use iTunes Match, or don’t use iCloud Music Library. It’s really that simple. You can still use Apple Music to stream stuff and download it to any of your devices. It won’t match anything you already have on your Mac, and all is well. To check and see how your files play out, all you need to do is click on the My Music from the tab bar in iTunes 12.2, then head up to click the View menu and then View Options. Click on the Show Columns, and then click on iCloud Status and iCloud Download. Now you can find out if iTunes thinks your music files are Uploaded (a unique track that cannot be matched, so it’s been uploaded to Apple’s servers – you’ll get it back in the same format), Matched (Apple found the track on its iTunes servers, you’ll download it to new devices as a DRM-free high-resolution AAC file), Purchased (you bought it, you own it, DRM-free), or Apple Music DRM (it’s a file that you’ve downloaded from Apple Music and you can’t listen to it if you let your subscription lapse). You might also see the Ineligible status, which applies to non-music files like PDFs.